The Bahamas trip was nice: relaxing and uneventful. The morning drive down to Miami was pleasant. We enjoyed lunch aboard after embarking, explored the ship (very similar to the NCL Sun from last April), and then promptly took a nap. We awoke for the muster drill (least favorite part of cruising), had “drinks” at the Atrium Bar while sailing out of Miami (note: L’s never really been a consumer of adult beverages, so the prohibition on alcohol during pregnancy is a non-event for her), went back to the cabin for the PIO shot, and then ate dinner at Il Adagio (the ship’s Italian eatery). Later in the evening, we went to the “Welcome Aboard” show, during which I became part of the act after being brought on stage by the ship’s comedian. Saturday morning we arrived in Nassau. We awoke and enjoyed an early al fresco breakfast at the Lido deck buffet, known as The Great Outdoors. 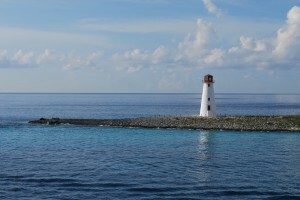 We explored downtown Nassau in the morning hours and returned to the ship in time for lunch. This was followed by a repeat of day #1: reading, nap, drinks, dinner (this time at Cagney’s, the ship’s steakhouse at sea). We skipped the evening entertainment. 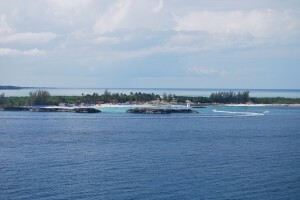 Sunday was at NCL’s private island, Great Stirrup Cay (how apropos, no?). We’d just been on the island last October. 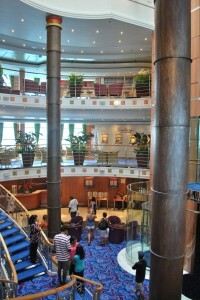 So, we opted to avoid the crowds and enjoy having the ship to ourselves. Once again, the day pretty much consisted of a string of meals, followed by periods of reading, talking, and relaxation. 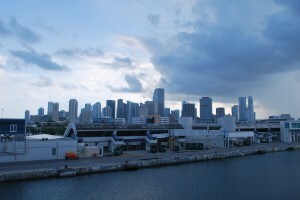 We returned to Miami early Monday morning and drove home. We’re normally overseas for at least part of June. And this trip certainly doesn’t compare to last June’s 23-day European odyssey (not that we thought it would!). But, all in all, it was a fun mini-holiday. Best of all, it was uneventful, which I greatly appreciated as I had some mild anxiety about “things going wrong” with the pregnancy while at sea. This gives me confidence about our planned trip to London in August. Of course, we’ll have to see what the next few weeks bring. Congratulations, you’re pregnant. What are you going to do now? 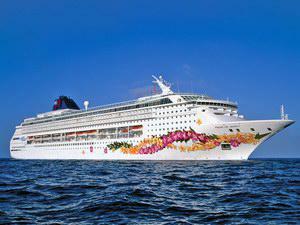 This weekend we’re headed down to Miami for a short cruise to the Bahamas aboard Norwegian Cruise Line’s Sky. It was a “last minute” thing, given the low rates (about $180/pp for 3 days). One of the advantages of living in Florida: easy access to cheap, last minute deals in the cruising capitol of the world. 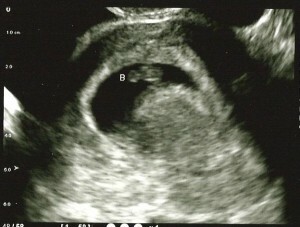 We had actually planned on going to Japan this June, if the IVF cycle hadn’t worked out. My thought was that it might be good to get away: out of sight, out of mind. Of course, we did have success. So, I (happily) bagged that trip. That wasn’t a big deal. I just cancelled the award tickets and hotel reservations and put a couple hundred thousand frequent flier miles / hotel points back into my account. Note: this is one of the few—but valuable perks—of traveling often and widely on business. Travel—whether the good, bad, or indifferent—has brought us tremendous joy. Indeed, sometimes the misadventures (like the “apartment from hell” we rented in Venice, Italy) have made the best memories. We’ve also always dreamed of taking our kid / kids to all 7 continents before they finish high school. Admittedly, we’re travel geeks… but really, how cool would that be? It’s funny: the dreams parents (or want to be parents) have for their offspring.